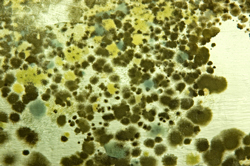 Unfortunately, finished basements have four powerful enemies: Moisture, Water, Mold, and Dust Mites. These forces work together to destroy remodeled basements and make them foul-smelling, ruined spaces that are no longer usable for the homeowners. Total Basement Finishing helps by providing solutions to these hazardous forces, in the form of well-made basement finishing materials. 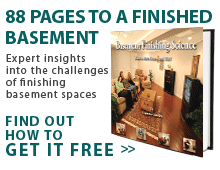 To schedule a free estimate for basement finishing, contact your local TBF dealer today! When a basement is first constructed, the area is dug out to make room for the space. The hard-packed virgin soil is removed, and when the foundation walls are built, there is a gap of empty space left over. The construction crew will fill this area with "backfilled soil", which is a portion of the soil that was excavated. This backfilled soil is fluffed and more porous than the hard-packed virgin soil around it will ever be. Because of this, it will also hold more water than any of the other soil as well. Additionally, the concrete walls, which sometimes take years to harden and cure, are shocked by the sudden pressure of the backfilled soil, which can create cracks in the walls, even with new foundations. Additionally, if the home has poorly-graded soil, the water can run down a slope towards the backfilled soil and pool in the area. This can compound the problem significantly. As water builds, the foundation walls experience increased pressure against the walls, which is known as "Hydrostatic Pressure." As this pressure builds against the concrete, it enters through the basement at any point possible- through cracks in the walls, at the basement wall/floor joint, and through cracks in the basement floor. Additionally, the porous material of the concrete continually allows water to pass through and into the basement environment. 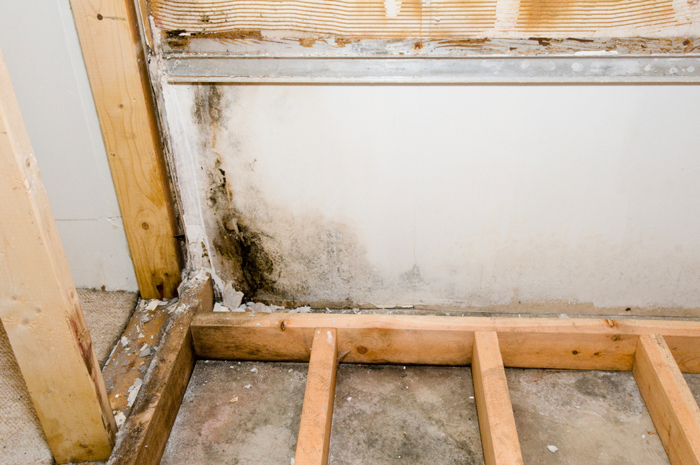 If you install wood, drywall, plywood, fiberglass, or anything else containing organic material against the concrete floors or basement walls, this moisture will collect and build in that material. And wet insulation can't do its job! Total Basement Finishing uses products designed to thrive in basement environments. Don't use materials that are so easily susceptible to moisture, water, mold, or dust. Contact your local TBF dealer and schedule a free estimate today!